October 4th is World Animal Day – a day that aims to raise awareness for all creatures big and small, all across the globe. As humans we have a responsibility to ensure that we are conscious of how our individual actions, and also those of businesses and governments that we are involved with, affect the lives and wellbeing of our fury friends. World Animal Day aims to raise awareness for all types of animals, in all counties across the globe and the unique issues they are all facing in our current climate. What issues are animals facing? Although the list above is just a snapshot of issues animals across the globe are facing, all hope is not lost. Through days such as World Animal Day we have the opportunity to change even one small thing in our lives that will benefit an animal in some way. Consider eating less meat, or no meat if that is an option for you. There is an amazing amount of delicious vegetarian or vegan recipes that you can try, and also an amazing selection of cafes and restaurants. If you’re looking for a new vegan recipe to try, shoot us a message at the Ecobin office – we’ve always got some delicious new ones on hand that we’re happy to share! Do not purchase caged eggs – ensure that the eggs that you are purchasing are not only ‘cage free’ but that they are from sustainable free-range farms. Check products and cosmetics before you purchase them to make sure that they are not tested on animals. If you’re not sure what products are cruelty free you can check out this website for more information – choose cruelty free. Think twice before you attend an event or activity where animals are being exploited. So instead of attending a rodeo or travelling circus perhaps you can take a drive out to the country and see some animals roaming free on acres of land, or head out to the beach and soak up some sunshine. Adopt don’t shop – this is such an important one. There are so many animals that are in need of adopting and rehoming, so if you’re thinking about adding a new little friend to your family please visit your local animal shelter and see if there is a little (or big!) animal there that would love to join your tribe. 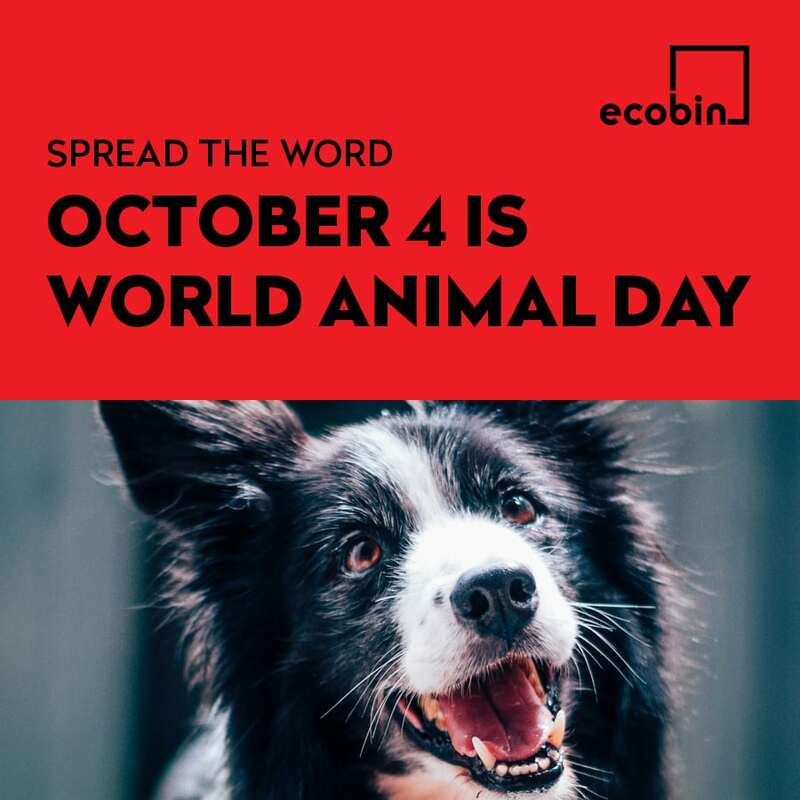 There are many more things that can be done to make a difference in the lives of animals, so if you have anything that you are doing to help out on World Animal Day don’t forget to share it to social media and tag #WorldAnimalDay and #Ecobin so that we can see the amazing things you’re up to.